Event date: Monday 4 May 2009, 5.30 p.m. – 6.30 p.m.
Michael Rothberg is an Associate Professor of English and Director of the Unit for Criticism and Interpretive Theory at the University of Illinois at Urbana-Champaign. Affiliated with the Department of Germanic Languages and Literatures and the Programs in Comparative Literature and Jewish Culture and Society, Rothberg works in the fields of critical theory and cultural studies, Holocaust studies, postcolonial studies, and contemporary literatures. His new book isMultidirectional Memory: Remembering the Holocaust in the Age of Decolonization, which is being published by Stanford University Press in their “Cultural Memory in the Present” series. Chapters from that book have appeared inCritical Inquiry, PMLA, and The Yale Journal of Criticism. He is also the author of Traumatic Realism: The Demands of Holocaust Representation (2000), and has co-edited The Holocaust: Theoretical Readings (2003) and Cary Nelson and the Struggle for the University: Poetry, Politics, and the Profession (2009). 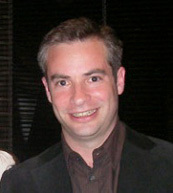 He is the founding editor of the online public forum Kritik (http://unitcrit.blogspot.com/).